Stampin’ Up! was started in 1988 by two sisters. The company offers an exclusive line of decorative rubber stamp sets and accessories for home décor, greeting cards, craft projects and scrapbooking. Stampin’ Up! introduces more than 100 new stamp sets and accessories annually in its full-color Idea Book & Catalog. Stampin’ Up! 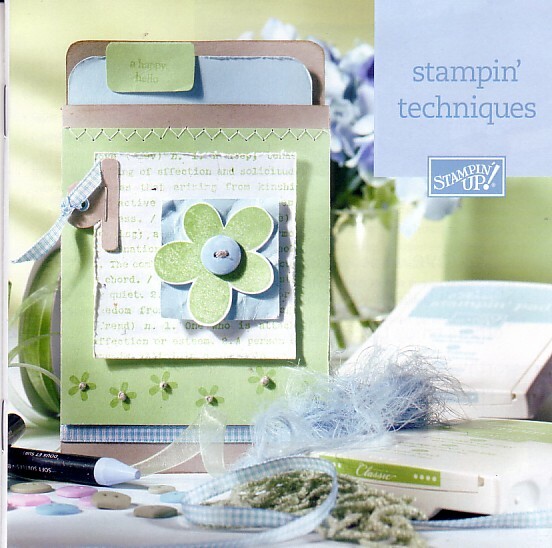 products are not sold in stores but may be purchased at home workshops or through a network of independent sales consultants called Stampin’ Up! demonstrators. Stampin’ Up! products are perfect not just for scrapbooking but for many occasions as you can select from a wide variety of products. Their items are unique and creative, that you get to do your own personalized unlimited creative product. Stampin’ Up! consultants or representatives are called demonstrators, these demonstrators run their own home-based business selling creative products to give inspiration to women and enhance their lives. If you want to make your own schedule, adapt your workload to fit your family’s needs, create new friends, get creative and share with other people, get discounts and make extra money, then Stampin’ Up! is the place for you. There’s nothing like creating beautiful things and making some extra money with starter kit as low as $99.